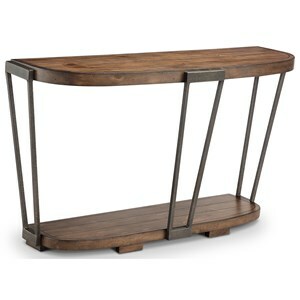 The unique patterned stone table top makes this table a stylish, modern addition to any home. 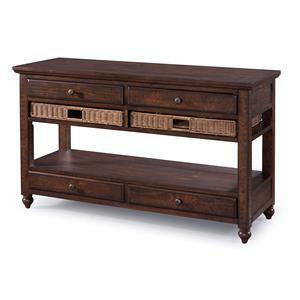 With ample space to store all your valuables with two drawers and one shelf, this sofa table is the perfect piece to add to your living room. You will love having this classy addition in your home. 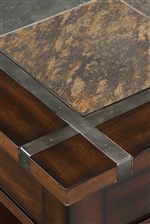 The Roanoke Rectangular Sofa Table With 2 Drawers and Shelf by Magnussen Home at Beck's Furniture in the Sacramento, Rancho Cordova, Roseville, California area. Product availability may vary. Contact us for the most current availability on this product.